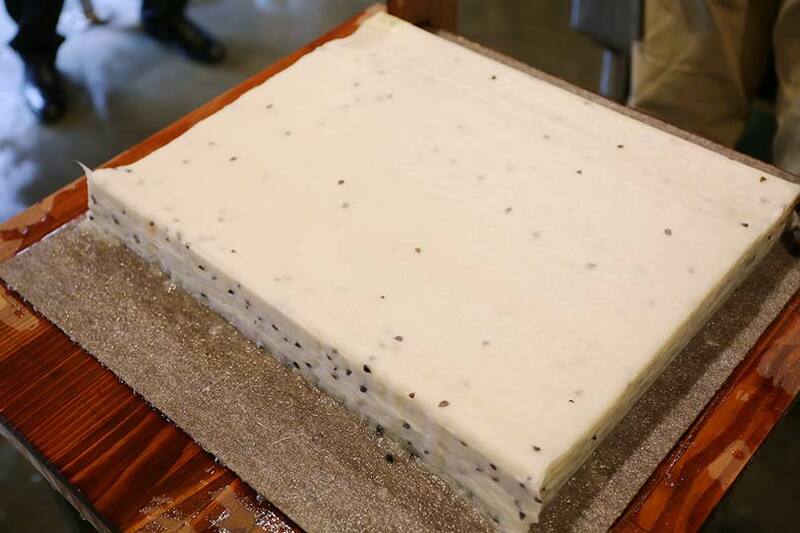 For this workshop, which comprises the first half of “SUPER BIG BOOK,” we organized a papermaking experience that also involved making a large piece of Washi to be used in the workshop in the second half, at the Ushio Paper Mill, located in Sasaya in Kawasaki Town, Miyagi Prefecture. 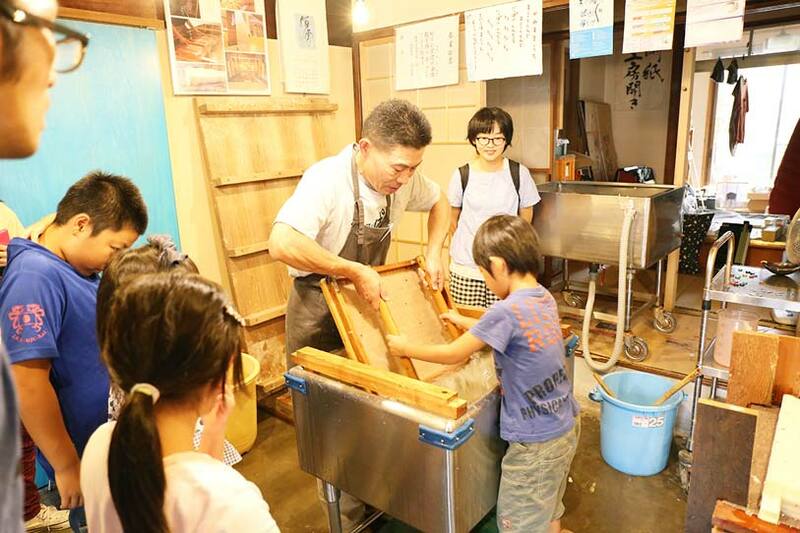 First, the participants were able to try out the traditional papermaking techniques of Nagashisuki and Tamesuki. 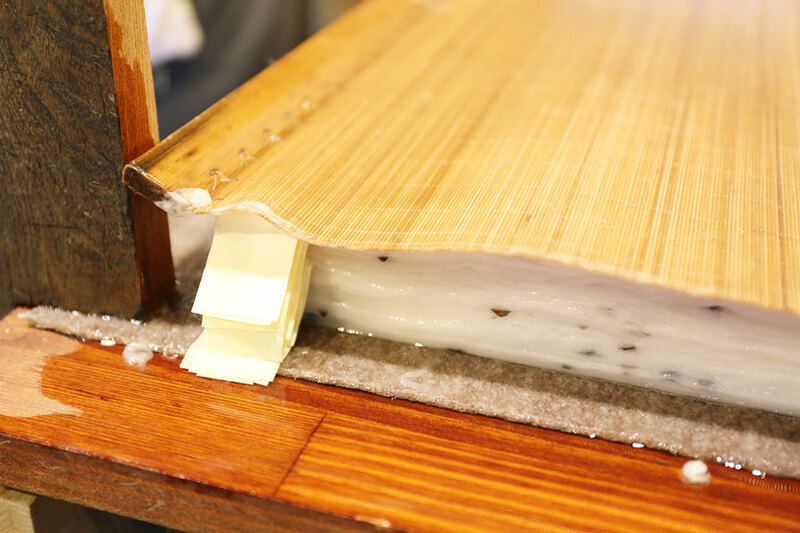 Nagashisuki is a technique where the raw material for Washi, paper liquid made by mixing paper mulberry bark with sunset hibiscus, is scooped onto a framed reed called “Sugeta” or “Sukigeta” and then shaken back and forth and from left to right to spread the raw material evenly. 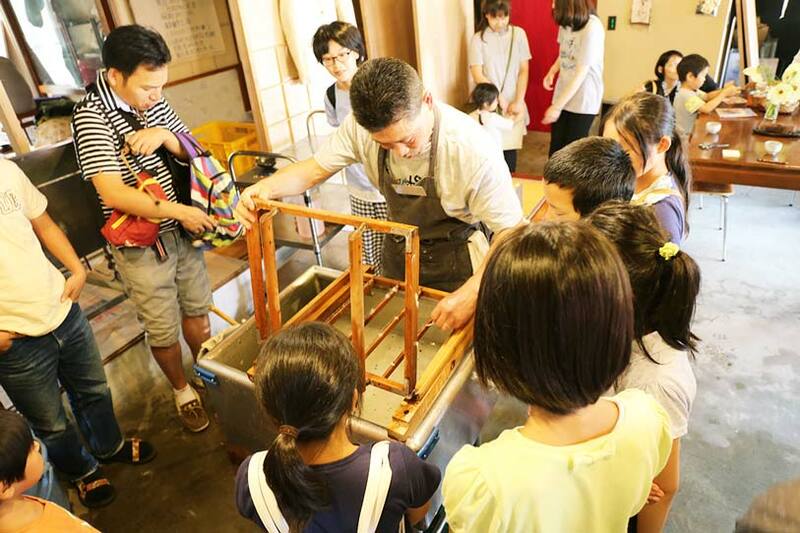 In the beginning, the instructor, Mr. Tsukahara, lent a helping hand and sung his original song for papermaking together with the kids so they could remember the rhythm and the body movements. While it certainly was a tough fight for the first timers, in the end they all managed to make their own sheet of Washi by themselves. 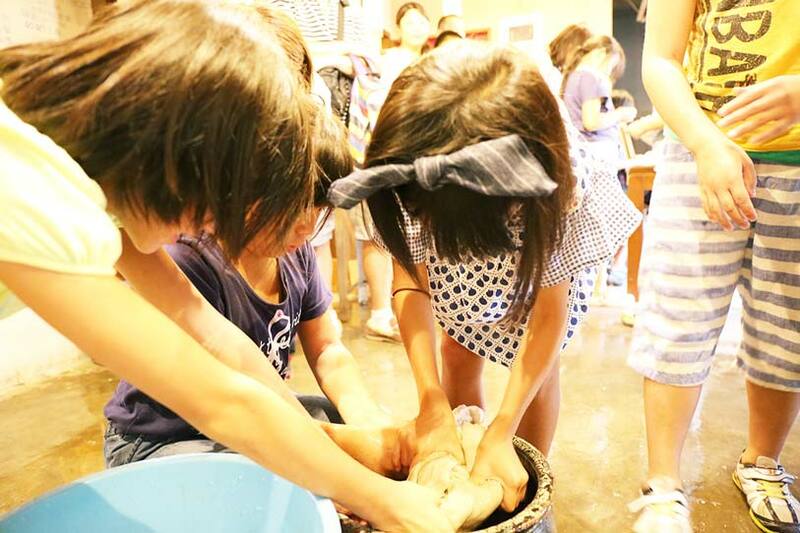 Tamesuki, another method of papermaking, is a technique where the pulp is placed on top of the reed and the water then drained from the bottom. Using this technique, the children made postcards and coasters decorated with colored papers cut out in the shapes of stars, hearts and colorful strings. After trying out papermaking, we finally proceeded to making the big sheet of Washi that would be used in the workshop in the second half. The finished sheet measured 140 cm in length and 85 cm in width. 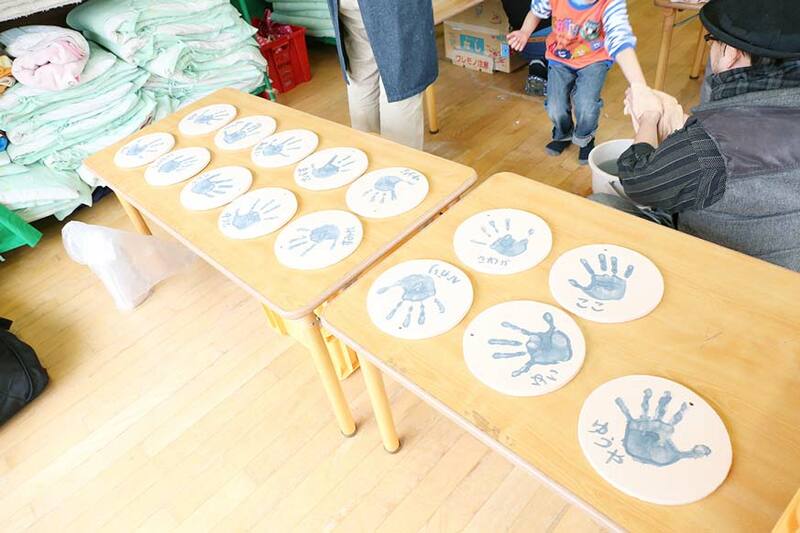 Although it was the first time for teachers to make Washi of this size, they kindly did many trials beforehand for the “SUPER BIG BOOK.” In the actual workshop, under the converging eyes of the children, the one-shot papermaking process turned out to be a success. 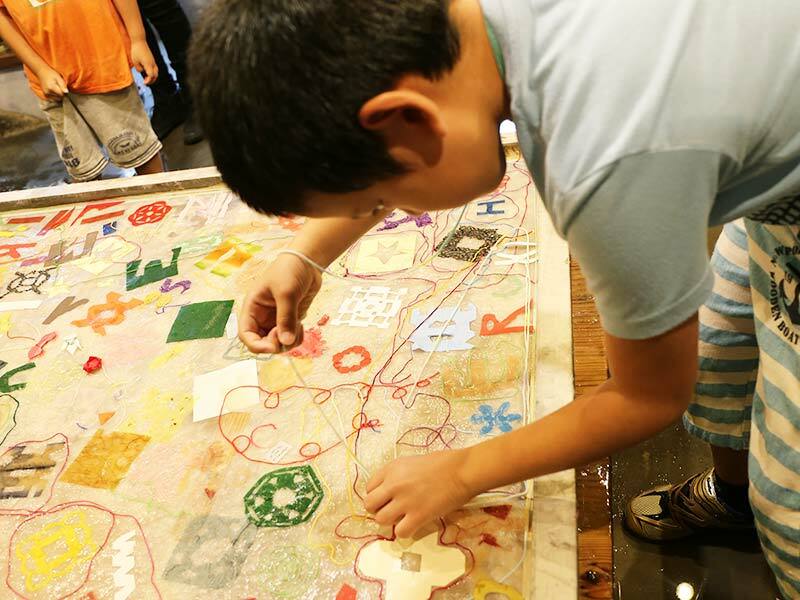 Seeing as this big sheet of Washi would eventually be the cover for our “SUPER BIG BOOK,” the children went on to freely decorate it with colored paper in various sizes and paper strings. Some children surprised the instructors with three-dimensional objects (e.g. Origami), making Mr. Tsukahara and Mr. Mori put their heads together to think about how to finish the big paper. 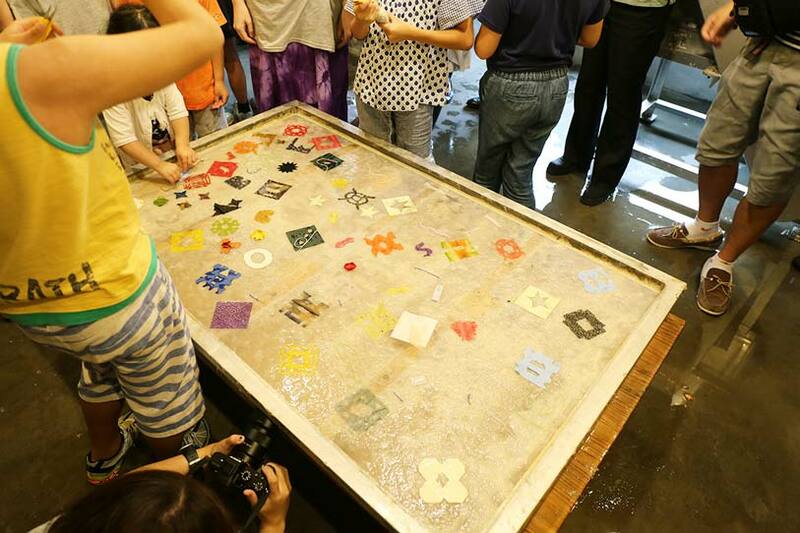 For this workshop, the children could use the actual tools with which papermaking artisans perform their work. Every single one of the tools is highly valuable, but one of them that stood out amongst the others was a mat made from bamboo and reeds called “Sukisu,” which is used by placing it in between the framed reeds. 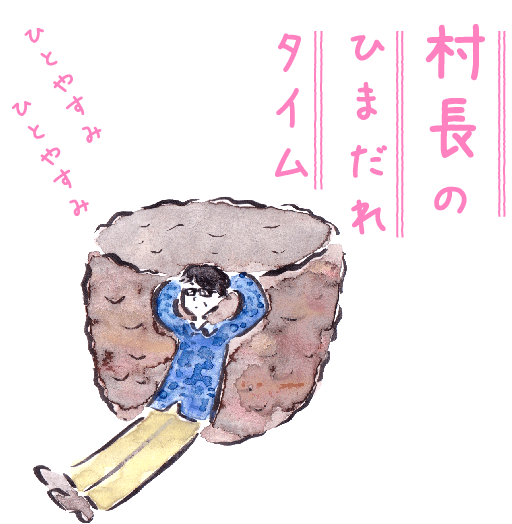 It is said that only two artisans remain in Japan who know how to make this tool. 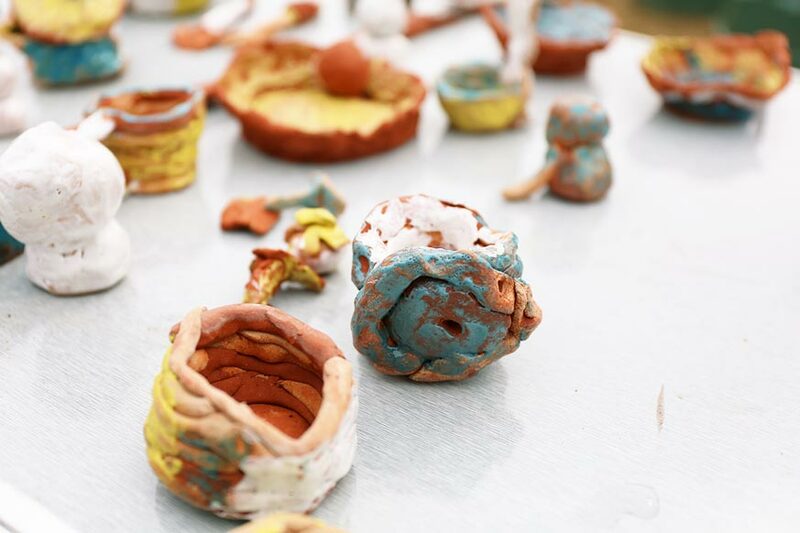 While books and the internet also provide a chance to gather knowledge about the process of papermaking, the experience can only be gained through actual practice. 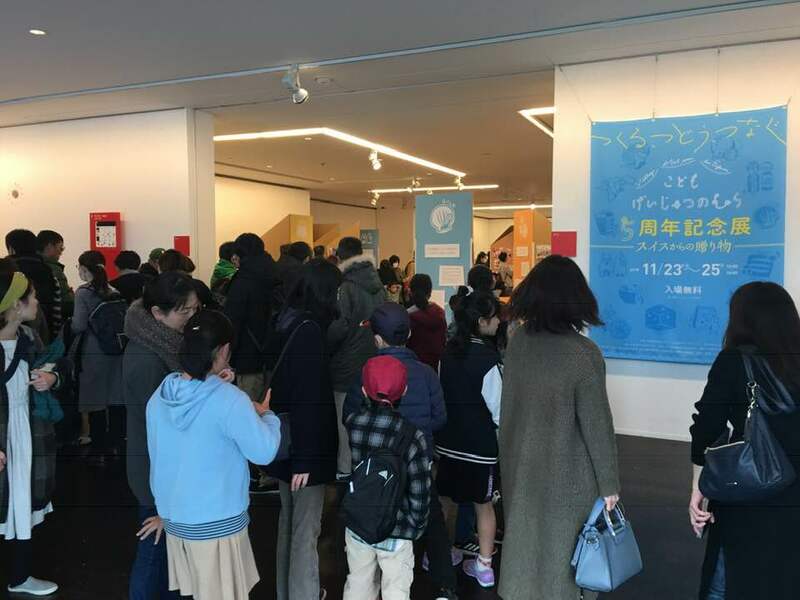 Mr. Tsukahara emphasized that it is very important that all of the parts of the experience—the techniques, the ingredients, and the tools—to be authentic in order to introduce traditional crafts to the children, who carry the future of Japan. We are confident that this sentiment did in fact reach the hearts of the children. 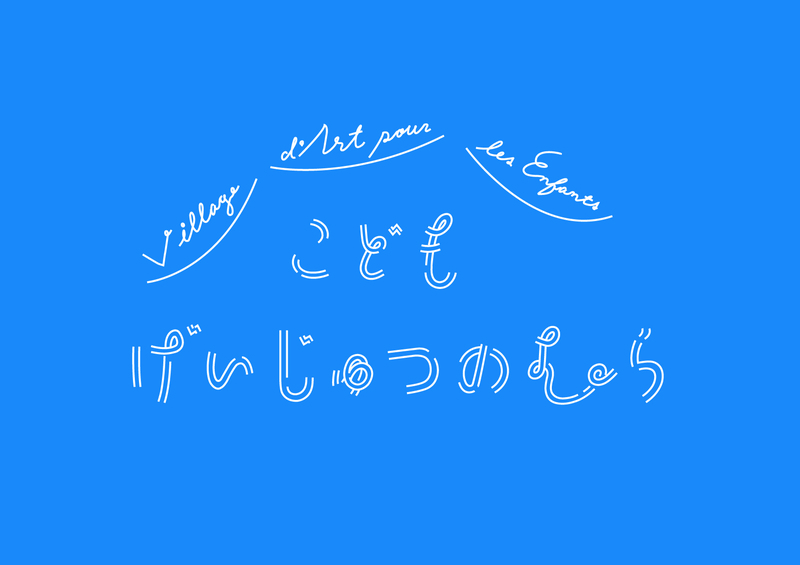 Copyright © Art Village for Children all rights reserved.